This term all of our learning is going to be inspired by London! The children were all extremely excited to transform our classroom into a London learning zone. We are going to learn about London through the ages learning about historical events such as The Great Fire of London and The Plague. Keep looking at our regular website updates to see where our magical learning journey has taken us this term! Here's a sneak peek at where our learning journey is going to take us throughout the project. It’s been a great start to the new term and the children have all returned to school with a brilliant attitude towards all of their learning. We have begun our new topic by learning all about the United Kingdom and the four different countries which make up the UK. The children have been learning all about the different countries flags and even designed their own flag for Gipsey Bridge school. In maths we have continued to develop division skills using a range of resources. Also this week we had our first healthy living session with JB sports where the children have started learning all about how to be healthy. JB Sports healthy living with Mr B. This week we have been learning all about The Great Plague! 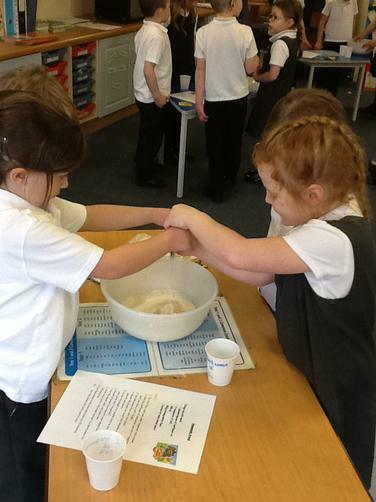 The children have loved learning about the causes of the Plague and the effect it had on its victims! The children have spent time learning about rhyming couplets and learnt how the nursery rhyme ‘ring and ring a roses’ is actually all about the plague. In maths the children have been applying their knowledge to solve some tricky reasoning problems and have spent time explaining and proving how they know they have the right answer, which is a very tricky skill to master. In topic we have been learning about the different people in London during the time of the plague and we have spent time learning what their role was. The children then did some role-play, acting out these different roles. We have also spent time learning about what the houses were like during the time of the plague and the children have designed their own 1665 London house ready to begin to make next week. WOW! What a very busy week! Learning all about the roles of people during the Plague. Role- playing events from the Plague. This week we have been learning about The Great Fire of London. The children have been busy learning all about how the fire started and how the events after the fire unfolded. They have enjoyed learning about Thomas Farriner and his bakers shop and Samuel Pepys and his diary entries. 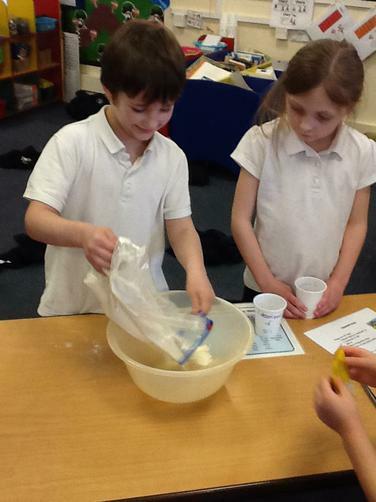 The children spent time learning colour mixing skills and have learnt how to make colours lighter and darker. They then used these skills to create their very own Great Fire of London paintings. In literacy the children have been working as reporters, pretending to interview people at the scene of the Great Fire of London and producing their very own newspaper article all about the Great Fire of London. In maths the children have been working very hard to master the art of time telling and can now all confidently tell the time to the nearest hour and half past the hour. Some children have even moved on to quarter past and quarter to! S far this week we have continued learning all about The Great Fire of London. The children have been busy learning about the key features of a diary entry and have planned and written their own dairy entries as if they were at the great fire of London themselves. 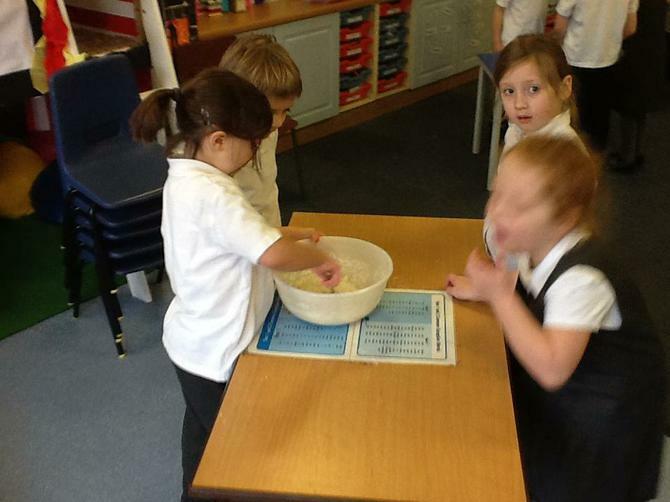 In maths the children have been learning about sequences and patterns. They have been busy completing some tricky number sequences and been solving some reasoning problems about sequences. In topic, we have spent time learning all about Samuel Pepys and his diaries. The children have written many wonderful facts about Samuel Pepys and created a great display in the classroom. The children have also spent time apply their comprehension skills to answer many questions all about the great fire of London. The children have been learning how to answer in full sentences and how to look for the important words within the questions. This week we have continued learning all about The Great Fire of London. 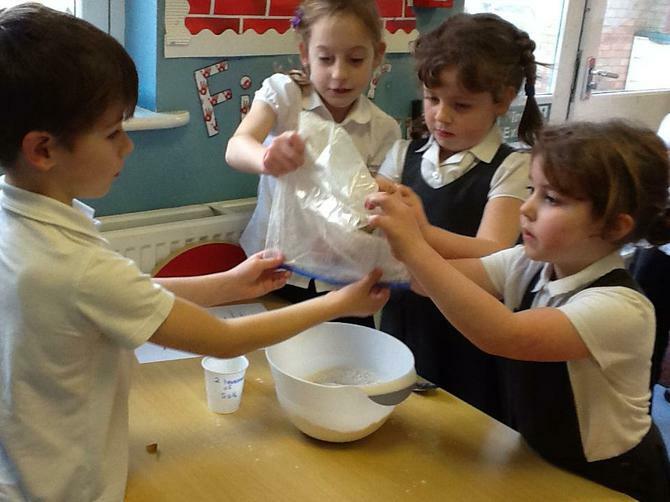 The children have been busy learning about the key features of instructions and have been following instructions carefully to make their very own tasty bread for Thomas Farriner’s bakers shop. 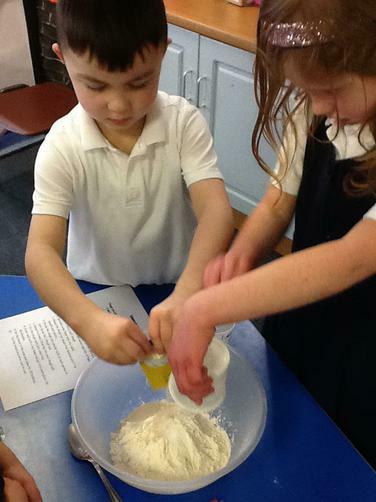 After baking their bread the children then went on to write their very own instructions including all the key features we learnt about at the beginning of the week. In maths the children have been recapping their knowledge of fractions and been solving some tricky reasoning problems. 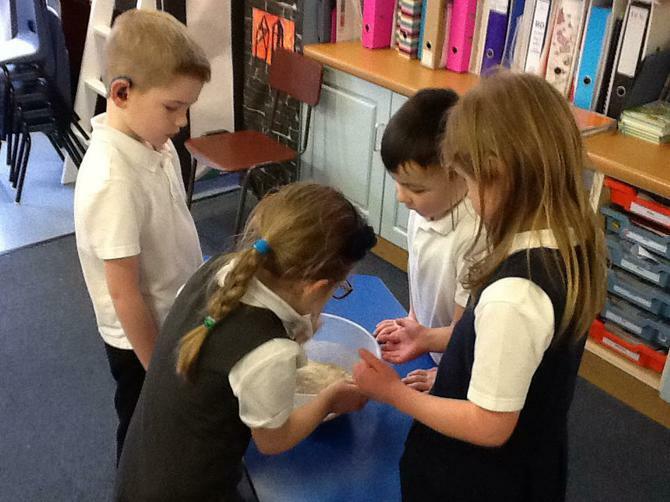 In topic the children have been learning all about England and it’s capital city and have spent time learning all about the journey of making bread! We were also very excited to have a visit from some volunteers from the local food bank. We learnt all about how food banks help people and young children in our area and we helped to pack some bags of food to do our bit to help. 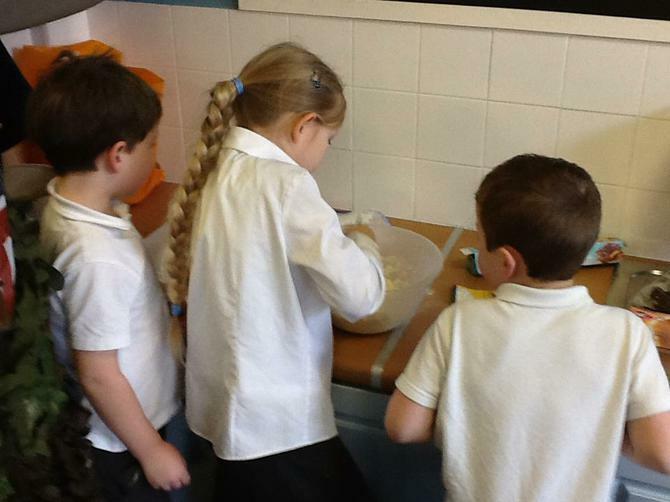 Busy baking bread for Thomas Farriner's bakers shop. This week we have begun learning all about WW2. The children have shown great enthusiasm for their learning and have really enjoyed learning all about the evacuees. The children have particularly enjoyed listening to the air raid siren in the classroom and re-enacting our own air raids! In literacy, the children have been producing some descriptive writing all about how they would be feeling if they were to be evacuee and we have started to plan our own evacuee stories ready to be finished off next week. In maths, we have been recapping methods of addition and subtraction and applying these skills to solve some reasoning problems. The children really are getting the hang of reasoning problems and all remember that they must explain how they know! Throughout topic this week we have continued to learn all about the Blitz, we spent time discussing the causes of WW2 and what the Blitz actually was. The children have spent time learning all about the Spitfires, gas masks and air raids! Wow! What a busy week! We've been learning all about evacuees so far this week. 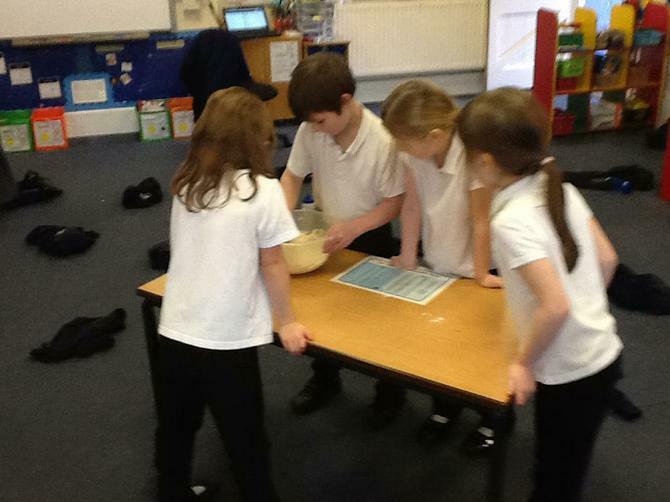 We have also been practising finding a safe place in the classroom during an air raid! In literacy, the children have finished their WW2 stories and they have turned out to be truly brilliant. The children have really thought about all that they have been learning throughout the topic and included some fantastic detail in their stories. The children have also completed some letter writing as if they were evacuees writing home to their parents. They have included many details about their feelings and have been trying hard to include questions they could ask about what is happening at home! In maths, we have continued to apply methods of addition and subtraction, learning about the inverse operation to solve missing number problems and applying our knowledge to solve missing number problems. In literacy, the children have been working in groups to plan and perform their own WW2 play. 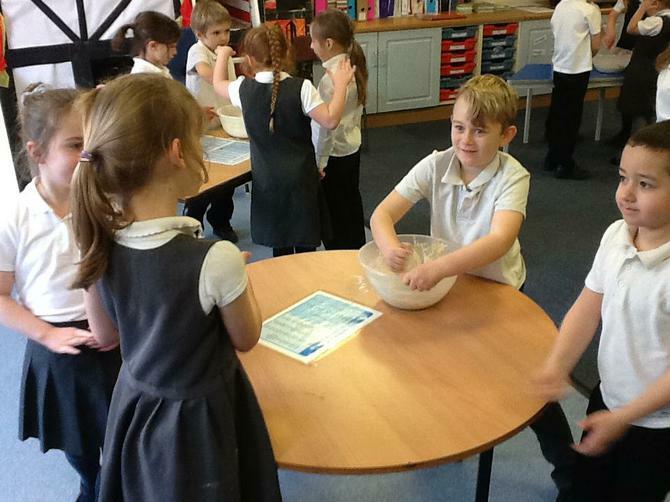 The children worked hard to use their expression to show how they are feeling and think carefully about their actions. In maths, we have been learning all about money and the children have been applying their knowledge to solve some trick money reasoning problems. 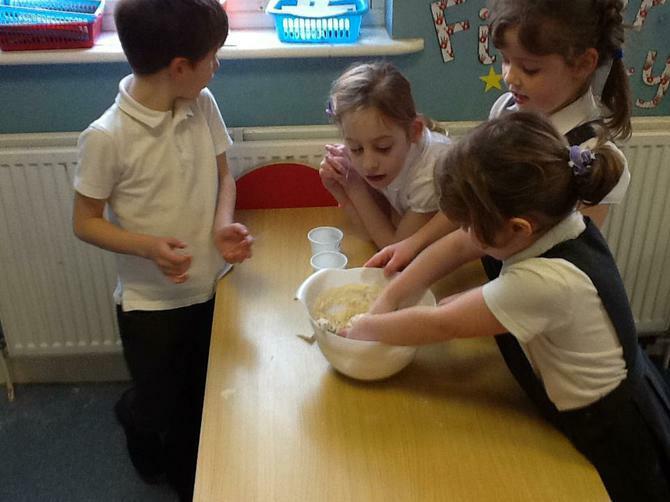 In science this week, the children have been learning all about common plants and trees. The children have learnt about evergreen and deciduous trees and even planted their own seeds. Also this week, some of the children took part in our Easter talent show. The children all performed brilliantly and the children who were not performing were a super audience. 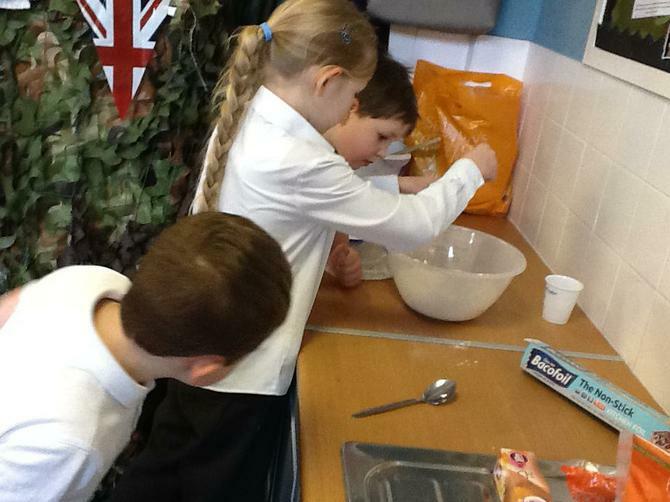 It has been a very exciting week this week for the children in class one as for our WOW event we went to visit the WW2, We’ll remember them museum! 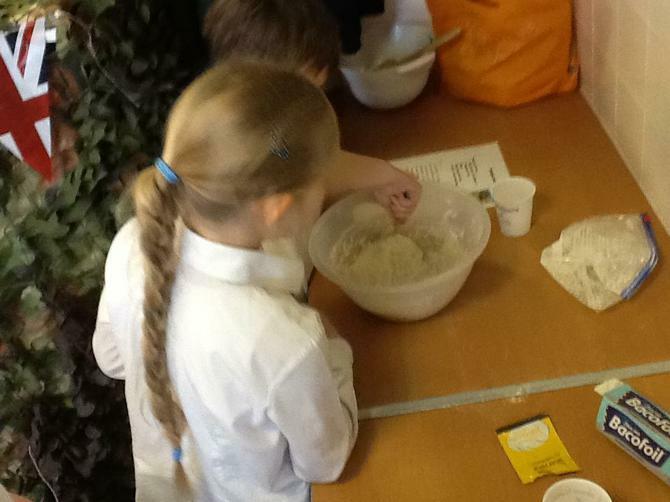 The children had a wonderful time and learnt all about the Home Guard and women in the war. The children got to sit in a real life Lancaster (well, part of it anyway) and hold some real guns! Later in the week the children spent time reflecting on what they had learnt during trip and created some brilliant recounts. In maths we have been recapping our knowledge of shapes and completed some shape investigations. In science we have continued to learn about plants, and produced our own instructions about how to grow a Sunflower seed. It’s been another very busy week! Our Fantastic WOW event at the WW2, We'll meet again museum!